Furetank has taken delivery of Fure Vinga, the first in a series of 17,999 DWT product tankers with LNG operation. 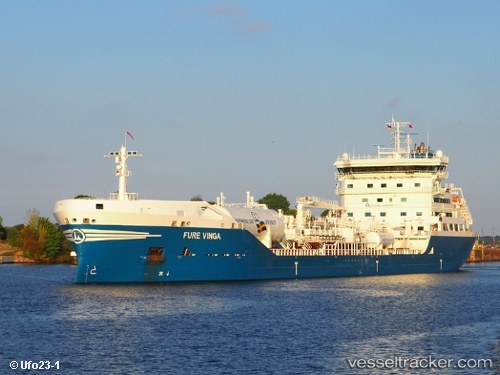 Fure Vinga has today, Wednesday, been transferred to Furetank and started its trip from the shipyard Avic Dingheng Shipbuilding in China sailing to Europe. Fure Vinga and her sister vessels have a cargo volume of 20,200 m3 with the main particulars LxWxD 149,9 x 22,8 x 9,36 m. These vessels are built for Ice class 1A and are Dual-Fuel categorized, with LNG as their main fuel. Due to this, they have a very low EEDI to show.